This month’s breed -The Siberian Husky. A true hero of dog breeds, the Husky used to race across the rugged tundras of Alaska delivering life-saving medicine to remote areas. Today, this breed still glides gracefully across ice, and loves the cold! The Siberian Husky, often called a Husky or Sibe, is a medium-size dog. They are less burly than their cousin the Alaskan Malamute and easier to train. The Husky has a wild, wolf-like appearance with a muscular body. You may often see a white and black or red and white pattern on its head. The ears are shaped like triangles and eyes can be either a gorgeous blue and brown or a combination of each. Their small ears are designed to maintain body heat, unlike the large ears of the Chihuahua, which are designed for cooling. Huskies like to dig! A Husky’s feet often function as snow shoes and the hair between their toes keep their paws toasty. Their claws make it easier to dig through ice and snow and burrow themselves into a hole to stay warm. Huskies can curl up in the snow to sleep and still survive. The Husky tail points downward when they are relaxed and curls up when they are on the move. Their whiskers are especially sensitive which come in handy when they are hunting at night. Siberian Husky were used by the Chukchi Eskimos of Northeastern Asia to haul long distance loads over rough terrain. The Chukchis lived inland and needed to get to the sea to hunt and be able to haul back a sled full of walrus meat. Huskies were ideal sled dogs. They were also known for herding reindeer. They arrived in the United States and Canada in 1909 via Alaska during the Nome Gold Rush to help with transportation and compete in races. Originally named the Alaskan Husky, their name was changed to the Siberian Husky as a salute to their originating country -- Siberia, Russia. Some historians believe the breed could be 27,000 years old, as suggested by DNA from the ancient bones of an Arctic Wolf. The Husky is now ranked #12 in the American Kennel Club’s list of most popular breeds. If you are looking for a guard dog, a Husky would not be a good choice as they love people too much! They might tell you a stranger is lurking about, but they have no concept of protecting you. In fact, they may lick a burglar to death. Nor are they one-person dogs. However, if you want a dog that looks stunning, is outgoing, sensitive, mischievous, and great with children, the Husky is your breed! Although Huskies can look intimidating and their Arctic temperament makes them determined and self-sufficient, they are extremely sensitive. They are the original Houdini dog and can dig under a fence faster than you can fill the holes, and over the fence quicker than you can catch them. In fact, the average fence won’t even stop them. They can leap over gates and escape from leashes and collars if not trained properly. Because of their wanderlust, they should be microchipped and identified with a tag (like the WaggTagg™) at all times. Huskies are highly intelligent but not needy. They are territorial but not aggressive. 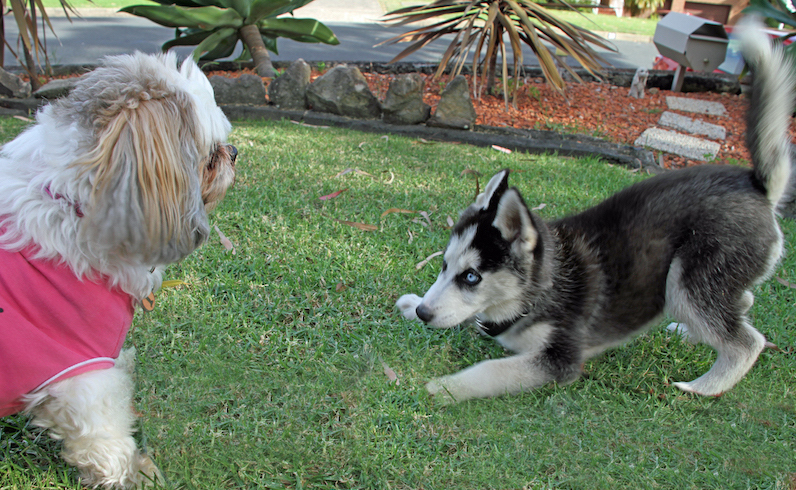 Be careful of cats and smaller pets because the prey instinct is ingrained in a Husky. They can be trained as great therapy dogs, as they are sensitive to a drop in blood sugar or the beginning of a seizure. Think of the “energizer bunny” and that’s a Husky! This breed wants to be by your side at all times. Huskies don’t like to be left alone, so pet parents need to be wary of separation anxiety. Huskies are not content to snooze by your side on the couch and want to be out and about among other people and dogs. If you’re thinking of leaving them outdoors by themselves for hours at a time, expect to come home with a crater in your yard! They will get along well with other dogs but early socialization is important. Why? So your dog gets used to new people, things and places and doesn’t develop any fears that turn into phobias. Also, so they develop pleasant associations, such as going to the park is fun! It’s even important to take them to the vet early on so they aren’t frightened by the experience. 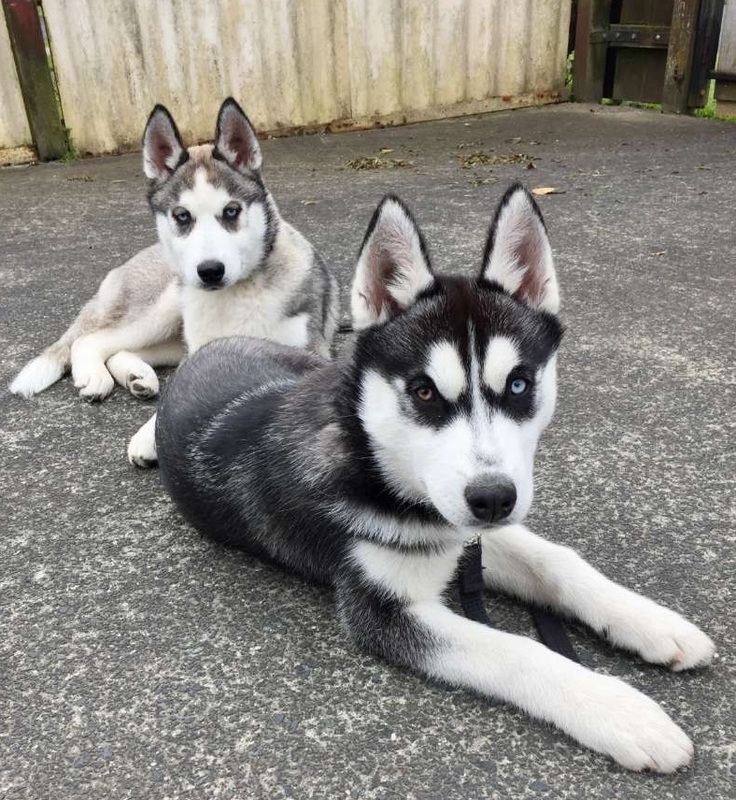 Huskies are double-coated with a top coat that is straight and a bottom coat that is thick. They shed year-round so they need to be brushed weekly. In Spring and Fall, their undercoat sheds known as “blowing their coat.” A lint brush, coat rake, and vacuum are must-haves if you own a Husky! Fastidiously clean and with little body odor, their coat can keep them warm in temperatures as low as negative 50 degrees. Yikes! Huskies have great teeth, so if you brush them twice a week your Husky will have pearly whites. Less known as sled dogs today, Huskies are great family pets and companions. 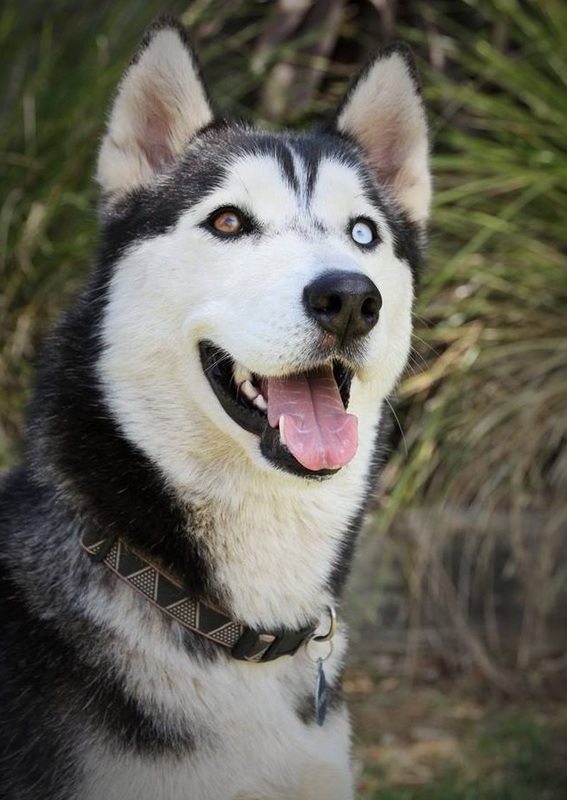 With a great sense of humor, the Husky will keep you laughing with his antics. At the same time, their energy requires these dogs to be well exercised daily or there is a strong potential for digging and destructive behavior. The Disney movie “Eight Below” is based on the true story of the 1957 Japanese expedition to the South Pole and stars six Huskies. The color of a Husky’s nose reflects the color of his coat. If the dog is black, brown and gray, his nose is black. White dogs have a flesh-colored nose and copper dogs have a liver-colored nose. Huskies in colder climates shed less than Huskies in warmer climates. Husky howls can be heard up to 10 miles away – pet parents will swear they can “talk”. The indigenous Chukchi people used Huskies versus nannies to watch their children. Huskies have a “snow nose” which appears is winter and goes away in the summer. Many universities – such as the University of Washington and Northeastern University have the Husky as a mascot. In the story of The Husky, there will be no appendix, as this bred doesn’t have one! Huskies have been banned from Antarctica since 1994 due to fears they could bring canine distemper to the seal population. Socialization is a major component to the overall wellness of a dog. It is best to start socializing your dog at 8 to 12 weeks -- young enough to be eager to learn but old enough to understand expectations. Puppies are like sponges and the more POSITIVE experiences they have in this time the more pleasant associations they develop. Poorly socialized dogs can pose a threat to healthy, well balanced dogs. Dogs who lack social skills are often afraid of new circumstances. If they become fearful, they can become aggressive and potentially bite in response to fear. Well socialized dogs are less afraid and less stressed. They also have learned appropriate behavior in certain circumstances (e.g. gentle around children). They get more exercise as they are more often in public. Bottom line, a more socialized dog is more well-rounded and confident. Be your dog’s pack leader. Communicate with your dog know who is in charge in every situation. Start slow and move forward in new situations with patience. It’s important not to overwhelm your pet. Introduce your dog to other well behaved dogs! Choose dogs you know, pets of your friends, who are already socialized. Reward your dog with lots of praise when he/she follows your commands. Remember that negative reinforcement leads to aggression -- NEVER hit your dog or use overly harsh techniques. Never force your dog to socialize - simply exposing your dog to positive situations is a great start! When you force your pet into a situation it may cause your dog to become territorial or aggressive - the opposite of what you are trying to achieve. For example, not every dog likes to go to the dog park. In fact, dog parks can be dangerous places with a lot of unknown factors including aggressive dogs and poorly trained pets, potentially putting your dog in a precarious situation. Bark Busters recommends that if your dog is fearful or shy of other dogs, you should avoid dog parks until your dog is at least 12 months of age. Our research has shown that ‘dog aggression’ can stem from taking a shy, frightened dog or puppy to a dog park where other more confident, mature dogs dominate. This causes the inexperienced puppy or adolescent to learn a bad lesson, which is unless you get in first and dominate other dogs, they will dominate you. Dogs are ‘pack animals,’ but dog parks are not a consistent pack. It’s a transient pack which may cause stress for a less confident, shy, or fearful young/adolescent dog. Dogs learn from other dogs. Unfortunately, Bark Busters trainers see many dogs who develop fears simply from watching other dogs. For example, client Sheila developed a fear of men after regularly watching her neighbor’s dog response to men. Petey learned to bark at visitors from his older sibling dog -- who barked everytime someone new arrived at the house without correction from their pet parent. The graceful, medium-sized Siberian Husky’s almond-shaped eyes can be either brown or blue—and sometimes one of each—and convey a keen but amiable and even mischievous expression. Quick and nimble-footed, Siberians are known for their powerful but seemingly effortless gait. Tipping the scales at no more than 60 pounds, they are noticeably smaller and lighter than their burly cousin, the Alaskan Malamute. Siberian Huskies are fascinating dogs on many levels. 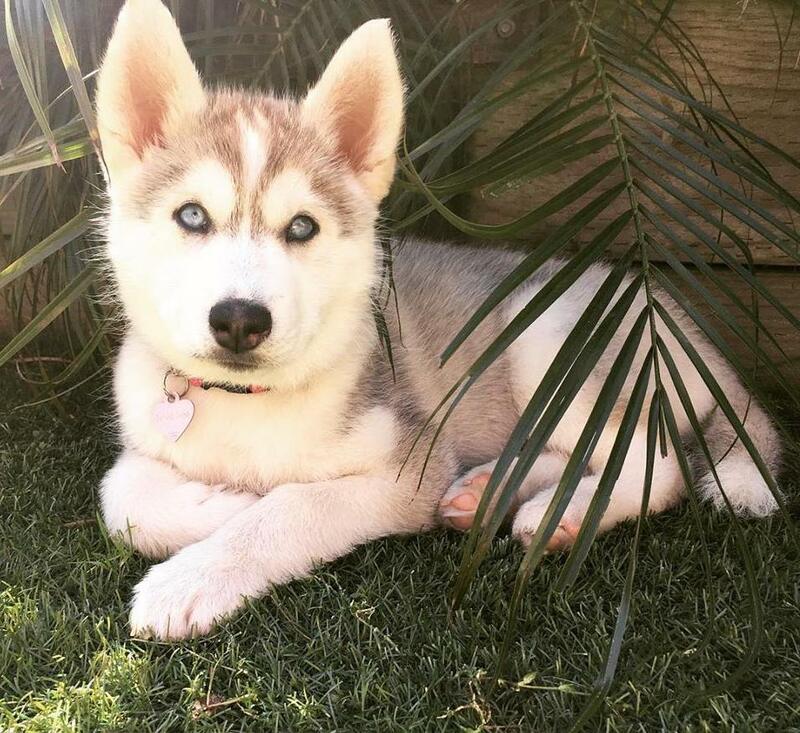 Although dogs have been domesticated for thousands of years, they do retain some of their wild ancestors’ characteristics and Huskies probably more than most. They have even retained very wolf-like looks although their gentle eyes will give them away. 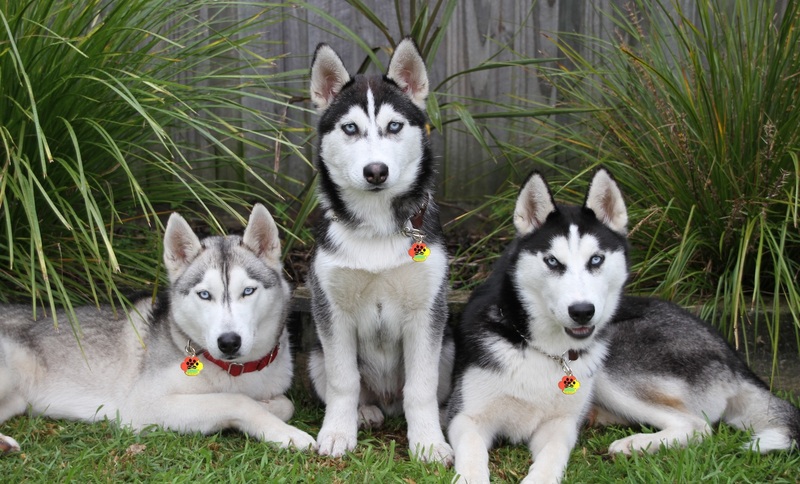 Like wolves, Huskies have a very strong pack drive and many of the Husky owners we’ve worked with have multiple Huskies. This pack drive makes them have a strong need to be included in activities. It also means that the people they live with need to understand and practice pack leadership because if they don’t, their dogs will take over and run things their way, which rarely aligns with human thinking. Luckily understanding and practicing leadership is not a physical endeavor but involves understanding canine psychology and communication. You may have heard a Husky pet parent state that their dog can “talk.” They will readily “voice” their opinions on everything with loud yips and howls. But they are not typically nuisance barkers. They are also not typically very good “watch dogs.” Their social nature can make them friendly to everyone, yet they feel very territorial if they perceive a threat. It’s that pack mentality again coming into play. Like wolves, Huskies are athletes. If you are a marathoner, you won’t go wrong if you get a Husky to run with, although some of these dogs will think the marathon is just the warm-up! These dogs can run all day while pulling many times their own weight. As with human athletes, they need more than physical exercise – they need mental exercise as well. They also love to pull, so teaching them to walk with you and not drag you can be a challenge. Remember they are “mushers” at heart. Huskies are smart dogs and love learning but once they learn something, unless they view you as the pack leader, they may not do what you ask them to do. They can be stubborn and frustrating in that regard, so patience and determination will be required. Be creative in finding things that hold their interest, other than just running, which is their first love. Speaking of running, if there are young children around who leave the doors open, a Husky will escape and take off sprinting. Did I mention that Huskies love to run? Huskies are definitely NOT the breed for people with allergies, because no matter how much you brush them, dust bunnies will fly about. You will also need a bucket or towel by the door. Huskies, like wolves, burrow. They will dig holes, mainly to curl up in. Their relatives in cold climates do that to maintain their warmth and even in Florida, they will dig holes when left outside without supervision. Expect worn paths where they run in the yard and holes where they curl up to rest. If you are an avid gardener, expect help from your Husky although it might not be the kind of help you want. 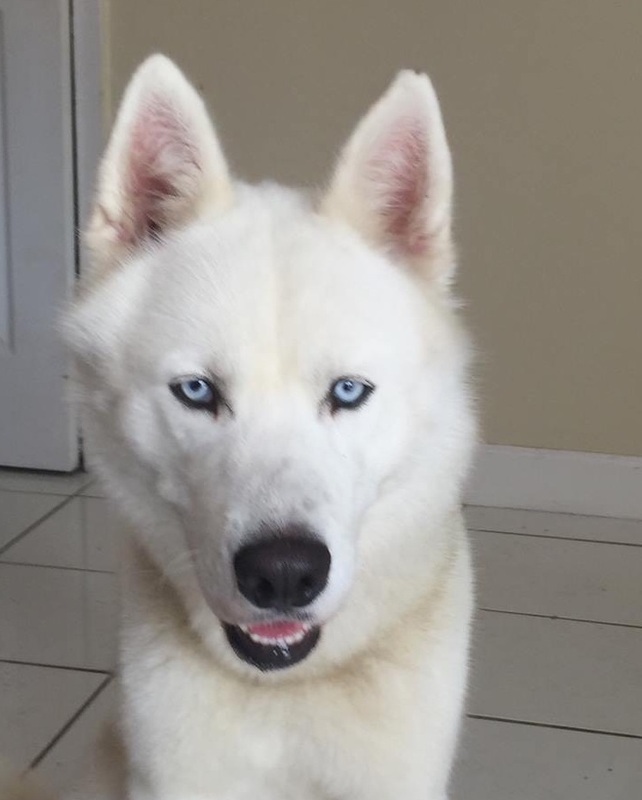 We are often consulted by Siberian Husky Rescue in Florida regarding helping some of the more troublesome dogs in their wonderful care. Their close relation to their wild cousins can make them challenging to make part of your family. Often these troublemakers are really seeking leadership. If they don’t find it in the humans they live with, they do try to take that role on themselves. 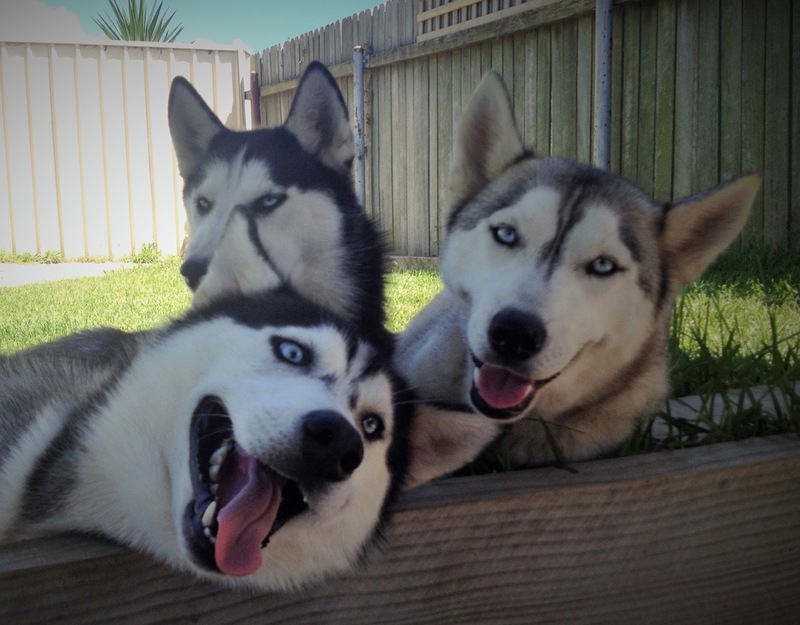 Understanding the dynamics of the pack is crucial to having calm, happy Huskies. They are wonderful dogs, but they are not for everyone. Bark Busters’ trainers can help you understand these wonderful dogs and teach you how to become the leader of your pack without drama. It is well worth the effort. A Husky may not be the best choice for a first-time pet parent. The phrase “obedient Siberian Husky” is something of an oxymoron. Too many Huskies end up in shelters because pet parents choose them for their classic looks and aren’t ready for their challenging nature. Sometimes referred to as “canine divas,” Huskies will often ignore your commands unless you learn to speak their language. The Husky typically doesn’t respond well to punishment or treats. Instead, you must establish yourself as the “Top Dog” and communicate using voice tones and body language. 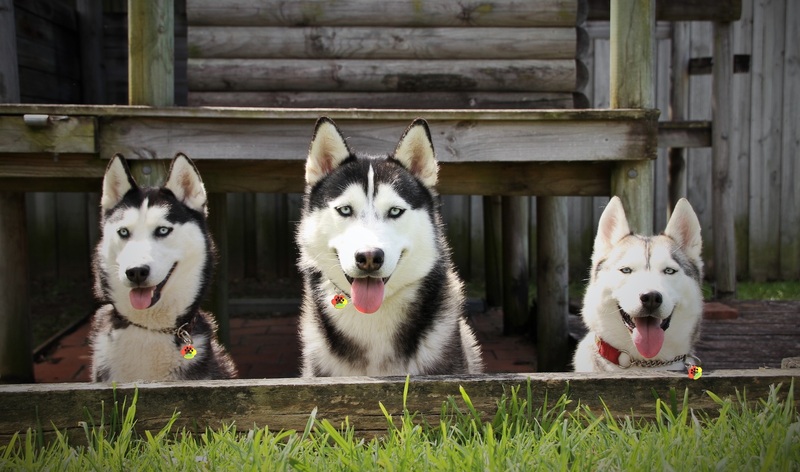 This is how Bark Busters produces such awesome training results – we “speak dog.” Bark Busters trainers love working with Huskies as they are highly intelligent and loving, if you understand their needs. One of the behavioral issues we encounter with this breed is ‘escaping’ -- they won’t stick around if they see an opportunity to bolt. This stems from their need to belong to a strong pack. As a pet parent, if you don’t provide leadership, they might look elsewhere. Also, Huskies can have barking and howling issues, although they howl more than bark thanks to inherited wolf howling behavior. It’s not enough to know that a dog barks or howls, it’s important to know why! Contact your local Bark Busters trainer at www.barkbusters.com for more info on dealing with and understanding your Husky. Looking for a reputable breeder? 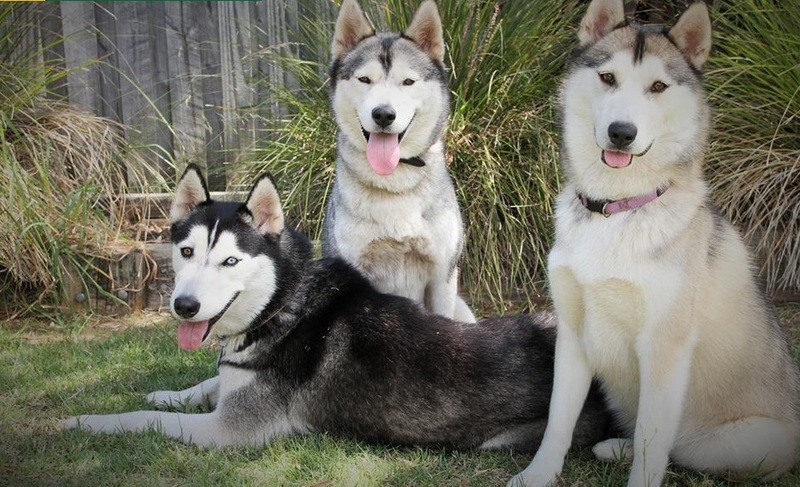 The Siberian Husky Club of America might be a great place to start. A good breeder will talk to you about temperament, health clearances, genetics of mother and father, etc. Be wary of breeders who are more interested whether your check will clear, who always have puppies available, who have multiple litters on site, and whose living conditions for the puppies is unclean. Ask for referrals -- friends, family, local pet services such as groomers, dog walkers, and your veterinarian are great places to inquire about a reliable caring breeder. Also, refer to the AKC’s website for a list of breeders. It is generally an untrue statement that shelter animals have more issues than pure breeds. Too often, dogs are surrendered through no fault of their own. The #1 reason dogs are abandoned is because of mis-behaviors that could be easily corrected through dog training methods such as Bark Busters. Good around kids or other animals? Have any known health issues? Walking well on a leash? Why is he/she at the shelter? Has this dog been adopted before? Require any ongoing medical care? Before you decide on a puppy, ask yourself if you would be better off with an adult Husky that is lower maintenance and lower energy. Puppies are fun, but they are also a lot of work. Whether you acquire a puppy or adult make sure you take your dog to the vet soon after adoption to identify and prevent any problems. 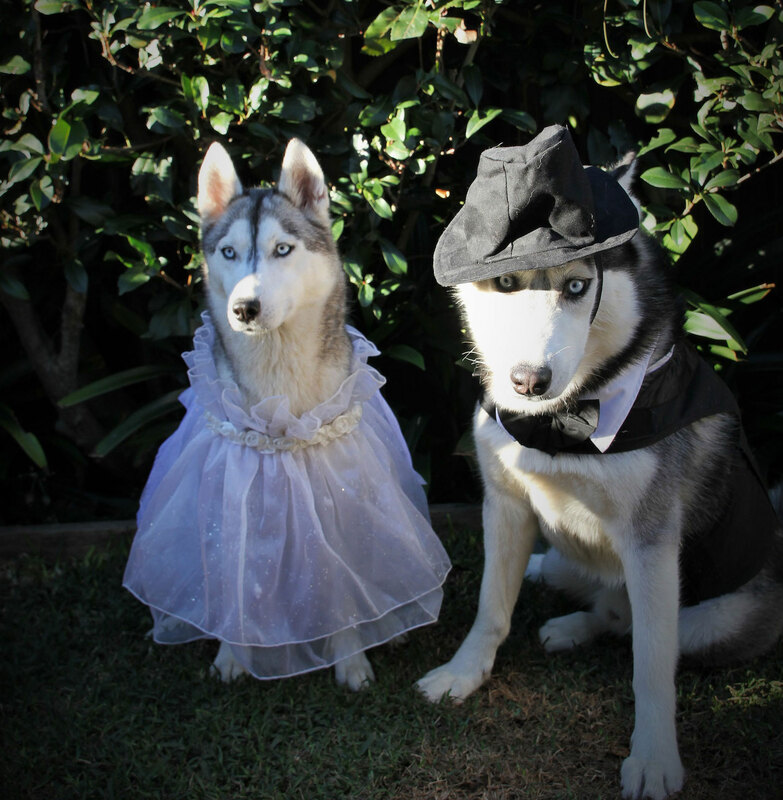 Bark Busters advises all pet parents to conduct their own research into the best diet for your Husky. Many mis-behaviors can be attributed to poor nutrition and a diet lacking in all the necessary vitamins and minerals. Just like you wouldn’t load up a toddler on sugar, make sure your dog gets a healthy diet of protein and minerals. Remember too that your dog’s nutritional needs will vary greatly as they go from being a puppy to a senior dog. Every dog needs its own “den,” a space just for your dog to be calm and away from everyone. This doesn’t mean your dog doesn’t love you – dogs need down time too! Your dog needs to know that you are in charge so he doesn’t have to be. Dogs are pack animals and if you don’t assume the role of pack leader, they will. A tired dog is a well-behaved dog. 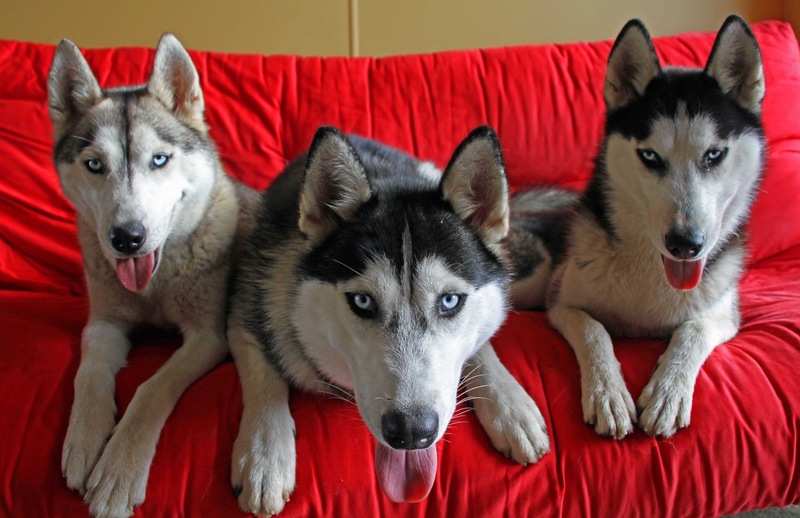 According to PetMD, healthy Huskies need the equivalent of three to five miles of exercise four to five times a week. Exercise will help your husky maintain strong and healthy bones, a healthy heart, and proper growth. Don’t forget that the best exercise of all is ‘mental exercise’ so find ways to stretch your Huskies intellect daily -- simple training exercises can do the trick! Educational toys such as the GameChanger® by Bark Busters is such a great behavioral tool. Running at speeds of up to 28 mph, it’s hard to get a Husky to slow down. In fact, if you love to bike or jog, a Husky would make a great sidekick especially for going long distances. Since most of us don’t live in the tundra, many Huskies still enjoy “urban sledding.” Urban sledding is a form of mushing and may involve one or more dogs. Activities include carting, sled dog racing, scootering, bikejoring, canicross, pulka, freighting, weight pulling, and other activities. Originally developed to keep sled dogs in shape during the off season, dryland sledding is growing in popularity. Like many dogs, Huskies like to play soccer, tug-of-war, Frisbee, and fetch. They also like to play with interactive toys such as The GameChanger®. The GameChanger is a rugged durable toy that can provide hours of fun. It challenges your Husky to figure out how to get the treats out of the holes. It satisfies a dog's natural desire to chew by reacting to your dog’s bite - reflexing back when your dog bites down on it. It is designed for mental exercise and assists in keeping your Huskies’ mind engaged for long periods of time. It comes in four vibrant colors and is perfect for dogs 15 pounds and up - you don’t have to worry it will withstand a Husky! If you have ever lost your dog, you know how terrifying it can be. Yet alone a Husky, who is born to run and loves to escape! Remember, the Husky’s escape instinct is a trait -- a natural instinct! 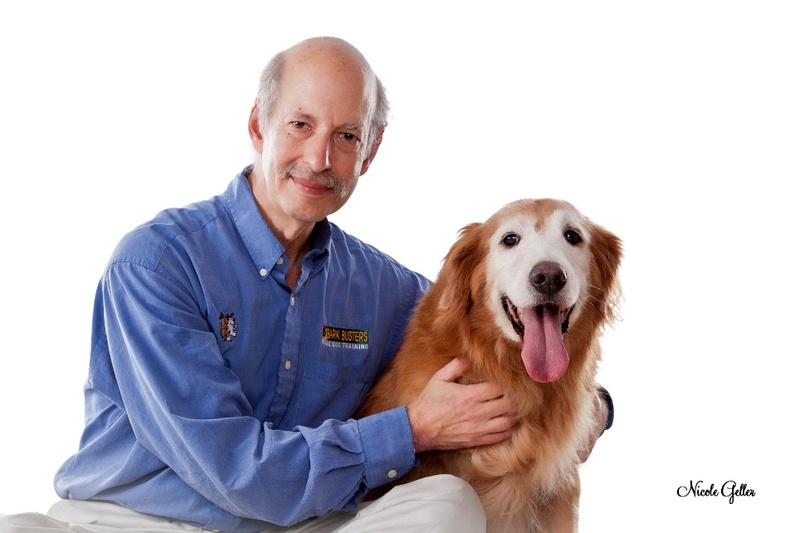 To help lost dogs and their humans become reunited, Bark Busters created the WaggTagg. This brightly colored tag cannot be missed by a finder. The finder simply needs to scan the tag, which sends a text message directly to the dog owner and several other nominated people. One of your contacts could be your vet for cases where your dog might have a medical condition. The tag will not reveal any sensitive information to the finder because it protects the dog owner’s privacy. Although microchipping is great, the vets at the Western Vet Conference loved the WaggTagg. Why? First a scanner is not required (which are not standardized), which makes it difficult if the dog is found outside of normal business hours. Second, the vet does not have to stop what he is doing (like surgery) to scan the dog and hope the microchip can be found inside the dog’s body (they slip and slide). Third, the vet clinic does not have to accommodate the dog until the owner can be contacted. This could be overnight or for a few days if the owner is on vacation. If the dog had a WaggTagg,™the dog would have already been reunited, or in the hands of family or friend! 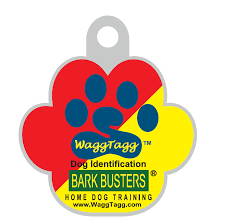 Speak to your local Bark Busters trainer about our free WaggTagg™ that is included in all Bark Busters training. It will help keep your dog safe. As we said earlier, Huskies have been bred to be sled dogs and “pull” things. This does not work out so well for pet parents on a walk. Huskies love to roam, so it is best to always walk yours on a leash or you’ll tune your head and they’ll be chasing a squirrel or rabbit. Additionally, the Waggwalker is an excellent walking harness to keep your dog walking correctly by your side. It is the only harness of its kind and is an ideal walking harness for Huskies.